Be the first to share your favorite memory, photo or story of Eldon. This memorial page is dedicated for family, friends and future generations to celebrate the life of their loved one. 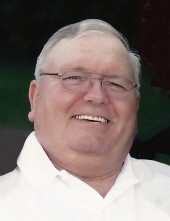 Eldon Seten, age 76, of Nunda, passed away Sunday, January 27, 2019 at the Bethel Lutheran Home. Funeral service will be 2 PM on Saturday, February 2nd at Grace Lutheran Church, Nunda with Rev. Phillip Hofinga officiating. Visitation will be 5-7 PM on Friday at Weiland Funeral Chapel with a prayer service at 7 PM. Visitation will continue from 1-2 PM on Saturday at the church. Burial will be in Prairie Queen Cemetery. Memorials can be directed to: Bethel Foundation, 1001 S. Egan Ave., Madison, SD 57042. Eldon Neil Seten was born December 8, 1942 in Madison, SD, the son of Elwood & Angeline (Tweet) Seten. As a young boy, he completed his education thru 6th grade at the Prairie Queen Country School. He went on to graduate from Rutland High School. After high school, he signed up for the National Guards and served two years. On June 21, 1963, he married Carolyn “Peach” Gulstine. They made their home on a farm near Nunda and have remained there for 55 years. Eldon loved everything about living on the farm. Farming wasn’t only job, but it was a passion of Eldon’s and unfortunately, in 1980, Eldon was diagnosed with Multiple Sclerosis. This horrible disease weakened Eldon’s body to the point that he could no longer continue to farm and he began living at the nursing home in 1994. Some of Eldon’s hobbies were dancing, snowmobiling, going to ballgames for his kids & grandkids, eating out & family genealogy. Eldon is survived by his wife of 55 years, Peach of Nunda; three children, Joanne (Drew) Clausen of Columbus, IN, Tony (Karen Nelson) Seten of Rutland, SD and Martin (Tasha) Seten of Hartford, SD; ten grandchildren- Kelly, Chris, Ashley, Devin & CJ Clausen; Brenden, Shaelee & Brycen Nelson and Erik & Bennett Seten; two sisters, Angela (Ron) Teal of Aurora, SD and Evelyn (Hugh Westgate) Zacher of Excelsior, MN; sister-in-law, Nancy Klosterman of Madison and several nieces & nephews. He was preceded in death by his parents and one nephew, Patrick Zacher. Eldon’s family would like to extend a huge thank you to the entire staff at Bethel Lutheran Home. Your compassionate care and friendship will be forever treasured by the Seten Family. A special thank you to Dennis Ingalls for your many years of being a wonderful caregiver and close friend of Eldon’s. To send flowers or a remembrance gift to the family of Eldon Seten, please visit our Tribute Store. "Email Address" would like to share the life celebration of Eldon Seten. Click on the "link" to go to share a favorite memory or leave a condolence message for the family.